Facepalm: The coding error was discovered months ago but is just now being shared with a wider audience because the game is on sale over at Fanatical for just $2.99. Several publications have tested it out after fixing the typo in the INI file and report a night and day difference in how the AI performs. 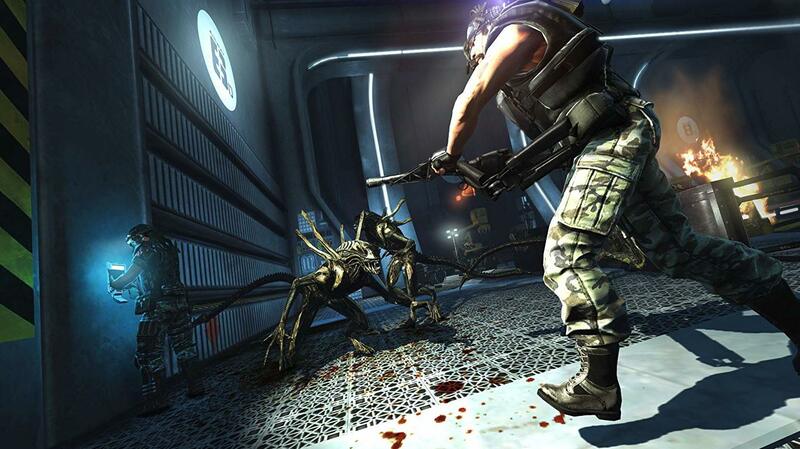 Aliens: Colonial Marines launched in 2013 as the sequel to James Cameron’s 1986 film Aliens. It was featured as one of our most anticipated games of the year but as anyone that’s familiar with the title will tell you, it ended up being a huge letdown for a number of reasons – one of which was the terrible AI. Gearbox Software, who outsourced much of the game to other studios during development, included a “tether” system when assigning AI commands to the game’s enemies. The system is said to be responsible for controlling enemies’ tactile position adjustments, patrolling and target zoning. In other words, it tells baddies how to behave and put up a proper fight. The problem is that it never worked as intended due to a one-letter mistake in the game’s code. As highlighted in a post on Mod DB last October, a line of code in the PecanEngine.ini (typically located in My Document\My Games\Aliens Colonial Marines\PecanGame\Config) incorrectly spells the word “tether” as “teather” as highlighted below. Due to this simple typo, the engine never attaches the tether system to the bad guys. Instead, they just kind of run around clueless, not really knowing how to behave. The game will set you back $29.99 on Steam, so being able to grab it for just a few bucks represents a significant discount. It still may not be worth your time or money at the cheaper rate but with the AI fix (we also hear the full fan patch from Mod DB is a must-have), it could be worth a spin.